Localised fat can be difficult to shift, despite taking regular exercise and maintaining a healthy diet. However, new technologies and techniques enable us to successfully treat and contour areas of stubborn fat accumulation, with minimal downtime. 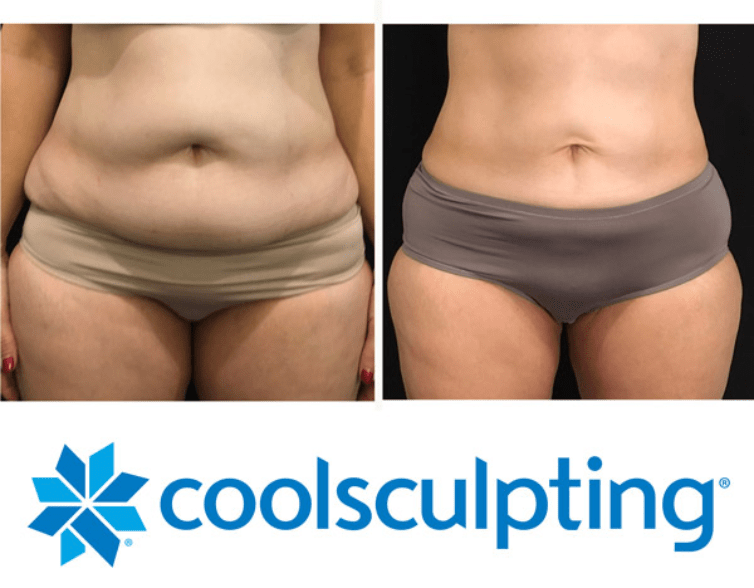 Coolsculpting® is a non-invasive body shaping treatment that uses Cryolipolysis – the use of extreme cold – to ‘freeze’ unwanted fat cells, before eliminating them from the body via the lymphatic system. A specialist applicator is used to gradually cool the area to be treated, and thus the fat cells, until they crystallise. This process ruptures the wall of the fat cells, causing them to die but without affecting the surrounding tissue. This non-invasive treatment can be used on the abdomen, saddlebags, back, flanks, arms, double-chin and inner and outer thighs. Best results can typically be seen within three months. Ultherapy works by delivering ultrasound energy deep into the tissue to target skin laxity. It promotes collagen production and enhances elasticity in the area to be treated, effectively tightening the jawline, double chin, ‘banana roll’ and knees. BTL Exilis is a pioneering treatment for the face and body, which uses a combination of radio-frequency and ultrasound to promote collagen formation. Administered correctly, it helps to smooth cellulite, tighten lax skin and help lift. Mesotherapy is a bespoke blend of minerals, amino acids and vitamins, which is delivered to the skin with a meso-gun or needle. These micro injections trigger a wound-and-heal response, spurring new collagen, while the cocktail of active ingredients targets areas of need such as skin laxity, fat reduction and cellulite.